Twinkle, twinkle little star dwarf planet, how scientists wonder what you are. The mysteries of Ceres, the largest object in our solar system's asteroid belt, continue to deepen. For over a decade, scientists have been puzzled by a cluster of inexplicable bright white spots on the dwarf planet's surface. The clearest photo yet taken of the spots does little to shed light, so to speak, on the matter. 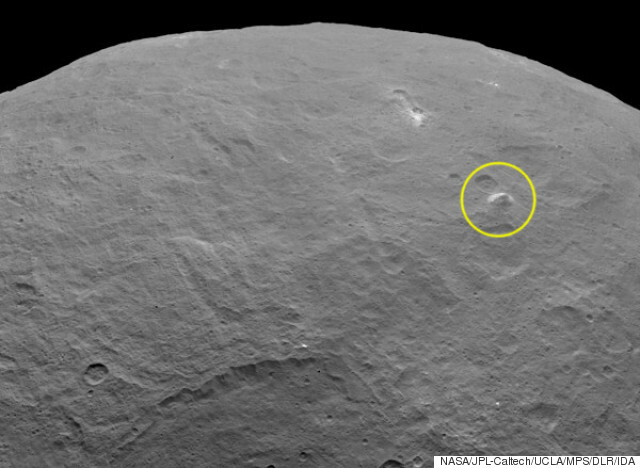 The photo, snapped by NASA's Dawn Spacecraft on June 9 from an altitude of 2,700 miles, reveals a grouping of highly reflective spots -- the biggest one is six miles across -- nestled in a large crater on Ceres' surface. 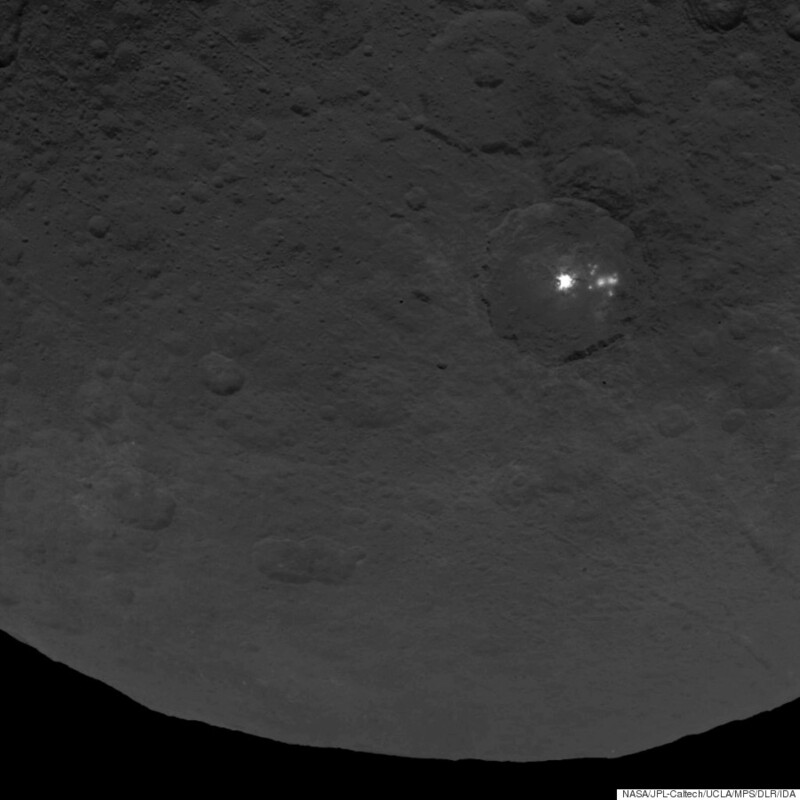 Per a release from NASA, Dawn uses a suite of instruments to analyze the light reflected off Ceres, thereby helping scientists identify the minerals on the dwarf planet's surface. At this point, the bright spots are thought to be ice or salt, though there are other possibilities, too, including geysers or volcanoes of some sort. The spacecraft is scheduled to move much closer to Ceres on June 30, descending from its current altitude of 2,700 miles to just 900 miles above the surface of the dwarf planet. It will reach its new, lower orbit in early August, at which point we should expect still clearer photos of the astronomical anomaly. For now, though, the mystery persists.